Elevate your look with a bold pop of color when you pair these exquisite emerald and diamond fancy stud earrings to your ensemble. 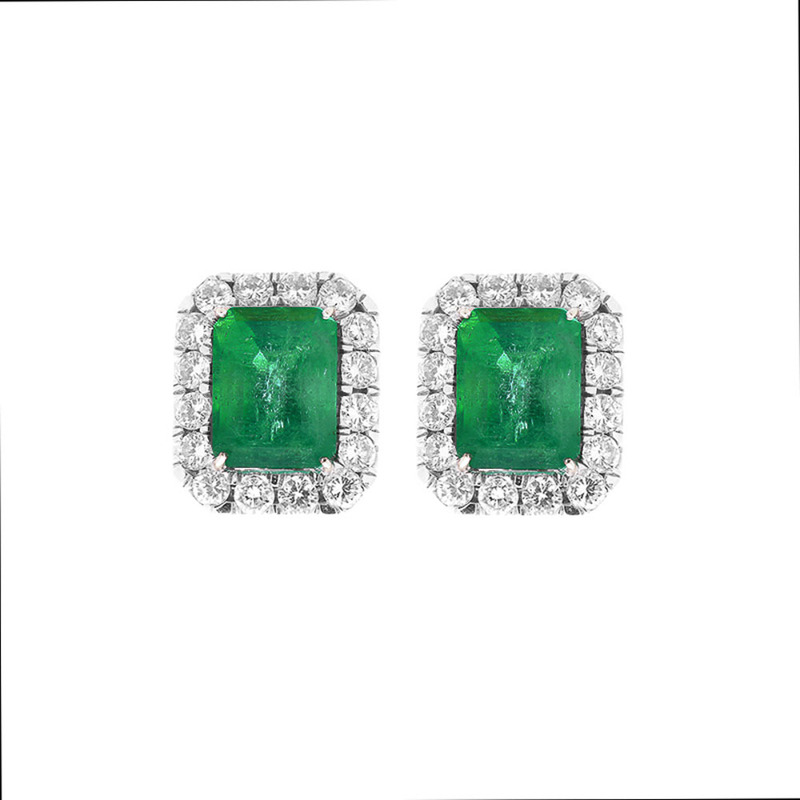 The earrings feature attractive 11.36 carat total weight, green emeralds. These perfectly matched gemstones are sourced from Zambia. A brilliant halo of diamonds frame each emerald giving its deserving contrast. The earrings are versatile and crafted of enduring 18 Karat white.